We live in an increasing tech-obsessed world where staring at a screen is part of everyday life – so when it comes to marketing it makes complete sense to integrate an e-book into your strategy. Consumers in 2018 are perfectly accustomed to digital marketing efforts and with the e-book industry predicted to be worth about $8 billion dollars per year, it’s clear that eBooks aren’t dead. Here’s why. Indeed, when Amazon Kindle launched in 2007, e-book sales jumped from $20 million in 2006 to $53.5m in 2008 – the first full year of the Kindle era. A new age was born and as brands try to generate authentic content and gain the trust of their target audience in an increasingly competitive space, eBooks remain a strong content marketing tactic. Still unconvinced? Then it is worth noting that many well-known brands are using e-book content to their advantage, so let’s take a look at some examples. If you thought eBooks were dead – think again. Global companies are jumping on the e-book bandwagon and creating strong content that’s designed to educate, excite and ultimately promote. 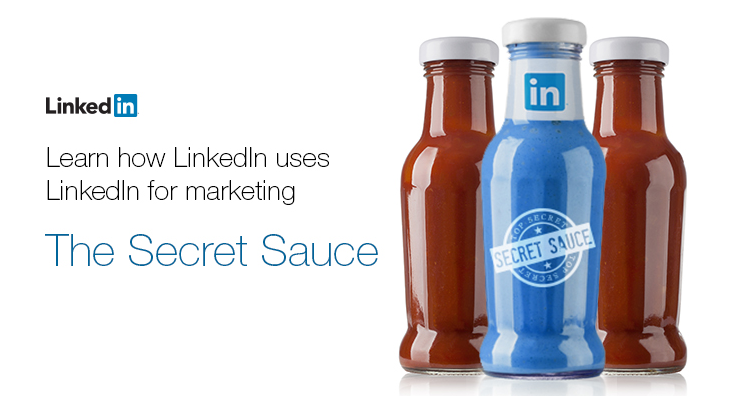 The Secret Sauce: How LinkedIn uses LinkedIn for Marketing is a fine example of a company that uses the eBook format to give back to its consumers. They’ve essentially loaded their digital marketing guide with tips, insights and lessons for running highly successful marketing campaigns. So what did LinkedIn do well? Included a host of useful takeaways and facts to guide their readers. These included up-to-date statistics such as 1. Sponsored content posts that included a statistic saw a 37% higher click-through rate (CTR), and received 162% more impressions. 2. Using sponsored content and InMail together resulted in a 95% increase CTRs. 3. Addressing the audience directly lead to a 185% boost in engagement rates. Used bright, bold and sharp imagery that was completely on brand. The blue bottle in the middle of their cover image represents the brand’s signature colour. LinkedIn also promoted their e-book with an infographic of the same theme. 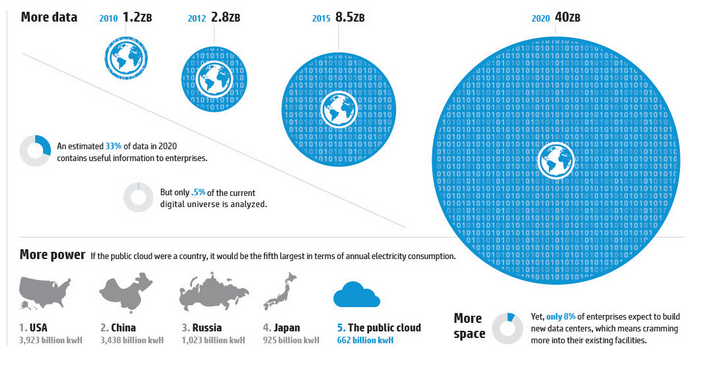 The HP 20/20 e-book explains how between 2010 and 2020 there will be a 50% increase in data to be managed. Winning enterprises will use this essential information to gauge real-time consumer sentiment and deliver a fully-tailored customer experience. Too many facts and figures with dense content could have been overwhelming, so instead they went down the visual representation route. What did HP do well? Kept the colour pallet simple to ensure all important information was conveyed clearly. The last thing you want to do is bore your target audience before they get to the end. So, be sure to keep your e-book short and to the point including only the very best and most relevant information. Long paragraphs and huge blocks of text are very unappealing. To avoid reader fatigue and to maintain interest, include a visual every 400 words. As more and more companies release their own e-books, it’s important to stand out from the crowd. Don’t be afraid to be different and do things that others aren’t doing. Stay on brand always. Your e-book should be packed with useful information that sets you apart as industry thought leaders and a reputable go-to source. It should not be overly promotional, but as it is part of your marketing strategy it’s wise to include strong calls to action to guide readers down a marketing route. Poor communication is the downfall of many marketing campaigns. For your e-book to be successful brief your sales team and make sure you’re monitoring downloads, click-through rates and other important key performance indicators (KPIs). Most users access the internet via their mobile phone device or tablet and therefore your eBook should be easily viewable in all formats. A clunky eBook that’s difficult to read on mobile will soon end up in the trash. If you want to embrace the e-book trend, expand your knowledge and learn more about the content marketing world, start now with the e-book series from Contentworks. Loaded with relevant, up-to-date market insights, takeaways and useful advice, the Contentworks eBooks cover everything from competitor’s tactics to content marketing secrets. All content is broken down into readable sections and expect a whole lot of humour – and some rather fun graphics thrown in along the way. Want your own eBook? Of course you do! Speak to our team now to get started.